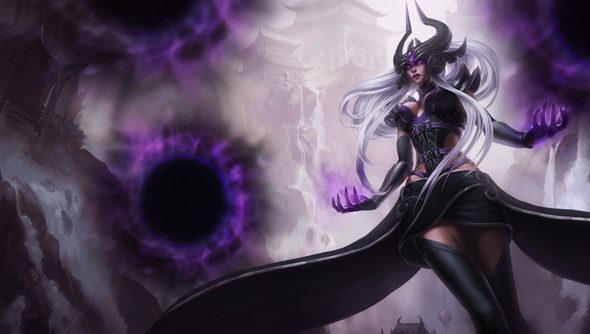 Announced at Gamescom, League of Legend’s next champion, Syndra, is now available to take for a spin on the public test servers. She’s a pretty big departure from the normal style of champion that Riot put out, focusing a huge amount of placement and skillshots rather than directed abilities, so it’s going to be pretty interesting to see how she fares when she goes live, probably with next week’s patch. More importantly, there’s a big breakdown of her abilities over on Surrender at 20, showing not only what each of her abilities looks like (important if you’re on the receiving end of them), but also the ranges and limits of each and every one. Particularly Force of Will, her W, which lets her pick up and throw not only one her summonable (with her E) Dark Spheres, but any enemy minion, including those in the jungle. Including, in fact, both the Blue Golem and the Red Lizard, opening up all sorts of hijinks where your team could potentially get a buff steal if they’re smart enough with both wards and positioning. The look on Olaf’s face when his precious Red Buff goes flying over the treeline to be gobbled up by a waiting Skarner would make me smile quite a bit. 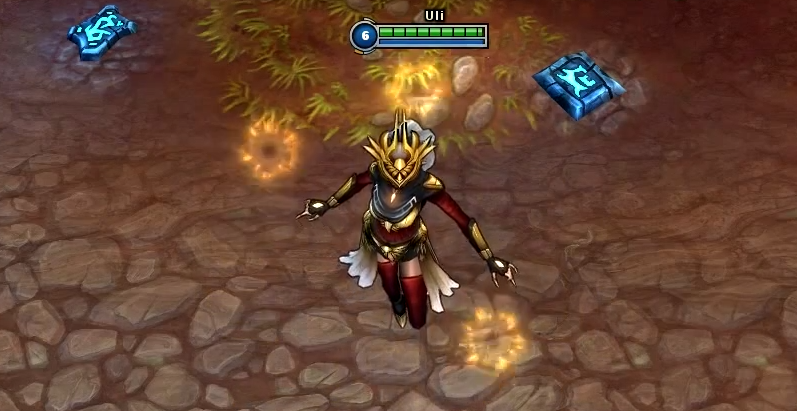 Riot have detailed Syndra here, and Surrender at 20 even managed to find her Justicar alternative skin in the files, the clever snoopers.